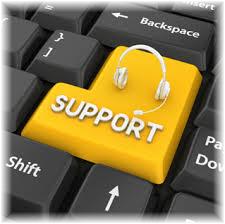 Streaming Software Support is available from Stream Breeze. vMix Tips and Tricks Volume 1 – Drag and drop files, rename inputs, and more! vMix Tips and Tricks Volume 2- Animated Gifs, Help and More! Be sure to visit the vMix YouTube Page for more! vMix Live Support Training available, click here. We offer LIVE vMix support! <— Click on the Yellow SUPPORT button to the left to get your Support Token. 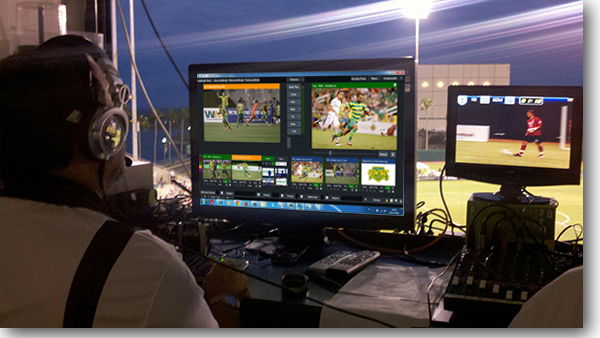 We also offer video production equipment hardware and video streaming software support and training, click for more. Is there a preferred power-on order for my Stream Breeze System? What is the difference between the blue USB ports and the other ones? Can I plug my Stream Breeze into any wall outlet or power strip? Can I use my Stream Breeze system outdoors? Can I have my system upgraded, repaired or serviced at a local computer store? YES! you should power up all connected external devices such as cameras, mixers, monitors etc. BEFORE you power up your Stream Breeze system. The blue USB ports are USB 3.0 and should be used for external hard drives and other hi-data throughput devices. They should NOT be used for your printer, mouse or keyboard as those devices will work fine on standard USB 2.0 ports, leaving the USB 3.0 port free for items needing higher speed. In a word, no. While it would work perfectly fine, you run a GREAT risk of data loss if you should experience any type of power brownout issue or outage. In general, ALL computers (not just ours) should ALWAYS be plugged into a UPS (Uninterruptable Power Supply) to ensure stable power and battery backup to allow time to safely save your work and power down in the event of a power outage. Powering your system without a UPS is a recipe for disaster. Buy a large enough UPS to allow plenty of time to close up shop and power down (generally 15-20 minutes of battery run time should be much more than adequate). Most UPS battery backups also allow you to connect to your computer (via USB) and run software that will automatically close your programs and safely power down even when the system is unattended! Your Stream Breeze system comes with a backup of the Operating System and vMix software installation already from the factory and you can use that to put your system back to the Factory-shipped state. To backup your video files and other media created after you received your system, simply copy the files from the media drive to a separate external USB hard drive. You should not use any proprietary backup software which may encrypt or compress the files as you may not be able to recover them should something happen to your system and that software. Simply drag and drop your files or folders to an external drive and you will easily be able to access them again once your system is restored or replaced. While you CAN use your system outdoors you need to be aware of the ambient operating temperature as video processing is CPU intensive and it gets pretty hot in there. We recommend that you place the system in a shady area (never in direct sunlight) and it may be a good idea to have a fan blowing at it. If the temperature is above 85º you run the risk of overheating and the system MAY shut down unexpectedly. While this is a remote possibility, it IS a danger. In general, if YOU are uncomfortable, the Stream Breeze is ALSO uncomfortable! Also, be aware of any dust or sand or other small debris that may be blowing around as if any of this should get inside the components it could create problems. Dust in any form is a serious threat to the health of ANY computer system so take precautions to protect your gear from this threat. NO! Your Stream Breeze system is custom made, carefully assembled and configured for its specific task and most computer repair shops know little of the delicate balance of components involved. Changing or repairing ANYTHING may render it unusable and will most likely void any warranties that exist. Please CALL us at 888-463-9805 in advance to discuss any changes, repairs or upgrades that you may wish to make. We will advise you on a case-by-case basis. As most of you may be aware, Microsoft has recently offered Windows 7, 8.0 and 8.1 users the ability to upgrade their operating systems to the new Windows 10 operating system at no charge. While you may be tempted to allow this upgrade to occur, we DO NOT recommend this upgrade at this time. The Stream Breeze system’s switching software has not been fully tested with this new operating system yet. Additionally, Microsoft has incorporated some features in Windows 10 that could be problematic going forward. The most important of these is the automatic updates to the operating system which at this time cannot be disabled. While this seems like a good idea on the surface of it, the underlying problem is that if the given Windows update has a bug or it disables or enables some feature in Windows 10 that changes the performance of the system, it can potentially cause the system to not function properly. Due to this potentiality, we recommend at this time to not allow Windows to update to Windows 10. Depending on the version of the switching software you are running there may even be issues upgrading to Windows 10 in the future as it is likely the older versions may not be compatible with Windows 10 and a software upgrade may be required. If you have already updated your system to Windows 10 it is possible to roll the system back to your previous operating system, if done within 30 days of the upgrade to Windows 10. Once Windows 10 has been fully tested we will notify all Stream Breeze owners at that time whether their operating systems can or should be updated. Do not be too concerned about Microsoft’s support for your current operating system, Microsoft supported Windows XP for almost 10 years after it’s release and we anticipate that your version of Windows will also receive support far into the future. This section includes some general info for PROPERLY using your new Stream Breeze system. *** Your Stream Breeze system should be used for switching and streaming only. Protect your investment and use your home/office computer for email, browsing the net, etc. Also, please be sure to back up regularly to avoid any catastrophic problems. You can void your warranty by installing any Anti-Virus or Anti-Malware software on your new system. Those programs scan any and all files that are either opened by the system or written by the system. This causes your system to slow down when you’re trying to playback a video file and/or record a video file. *Disregarding this advice will void any free support and you will be billed $75.00 per hour, for the time involved in troubleshooting and correcting any problems. You can void your warranty by installing any hardware drivers as part of any Windows update, these can and will be updated as required by the Stream Breeze support staff. When in doubt ask us about any updates. We generally turn off the Automatic updates setting in Windows as it can potentially cause problems. If the system is updated automatically unbeknownst to the end user and causes something to fail the cause of the failure would be unknown to the user. The Update setting we choose is that Windows notifies you of updates, but does not download them or install them automatically.Windows security updates are generally OK unless they are for fixes in graphic subsystems, Direct X update could cause a problem for example. Hardware updates in Windows 7 are referred to as optional updates and should be avoided. When in doubt check with us first. If you install any Windows security updates on the system, immediately test the Stream Breeze software, put it through its paces exactly as you operate the system.If something stopped working uninstall the updates or use Windows system restore function and restore the system back to before you installed the updates. To uninstall individual updates open the Windows Control Panel and click on the Programs or Programs and Features icon depending on how your control panel is set, click on the View Installed Updates text. Now you can choose which updates to uninstall sort them by date to put the most recent updates at the top of the list. Uninstall the most recent update first and go back and test the software to see if the problem was resolved. It may be necessary to reboot the system after any updates are removed in order for the system to fully recover its functionality. You could then try installing the updates individually and test the system after each has been installed to find the culprit that prevented the software from operating properly. The easiest way, however, to remove multiple updates, is to perform a system restore, Windows generally creates a system restore point any time it is installing any Windows Updates. That is the restore point to choose to restore to, as it will reset the system back to before the updates were installed.If you are unfamiliar with Windows System Restore, go to your desktop and press the F1 key on your keyboard this will bring up Windows Help, type System Restore into the search box press the enter key and Windows will provide you with instructions on Restoring your system using System Restore. You can void your warranty by installing any additional hardware into the system without obtaining written authorization from the Stream Breeze support staff. ** Disregarding this advice will void your Stream Breeze warranty. **External hard drives or Memory Card Readers are excluded as they do not require any additional drivers to be installed. Avoid sourcing or storing any video files from the Windows desktop location or anywhere on the “C” system hard drive. This is what the “Record” and “Playback” drives are for. Don’t allow the “Record” and “Playback” drives to become more than 75% full. There needs to be at least 25% of free space on each of these drives for them to maintain optimal performance and to allow Windows to be able to defragment them properly. If necessary to achieve the space required, copy any video recordings not currently required, for your active project to an external hard drive, (preferably a USB 3.0 hard drive to allow copying in the shortest amount of time). Depending on your system configuration you will have at least two USB 3.0 ports on the back of the system (The Blue USB Connections), there may also be two on the front of the case as well. These will allow copying about three to four times faster than USB 2.0 providing you have a USB 3.0 external hard drive. Avoid using the indexing function in Windows for any drive other than the “C” system hard drive, as this reduces their performance. Don’t change the Windows performance settings, these are optimized for the Stream Breeze software requirements. You should not try to stream your videos at 1920 x 1080 resolution. While you may actually have the bandwidth to do so, it is likely most viewers will not have the bandwidth to view it at this setting. What they will see is a lot of starting and stopping and buffering, which is probably not the experience you wish them to have. Be considerate of your viewers that may be trying to view your video on their cell phone using that limited bandwidth or on their tablets using a public WiFi hotspot. 1. Get a UPS battery backup for your Stream Breeze system. Most come with software and a USB cable that allows the UPS to communicate with Windows and will gracefully shut down the system in the event of a power interruption of more than a couple of minutes. 2. Backup your Stream Breeze system by doing occasional backups to an external hard drive or high capacity USB 3.0 flash drive, you will protect the integrity of the system in the event that something should happen. We include a system image backup of the system as it was configured when it left our factory. If you have made substantial changes to the system or configuration then it is always a good idea to do a system image backup. Using Windows backup utility you can schedule differential backups which only backup the changes made to the system since the last backup, these go much faster after the first backup is created. It doesn’t matter which backup software you use, just so long as you backup the system. 3. You should install the software updates for video switching software when notified they are available. Do this ONLY when you do not have a pending production and you should retain the previous version of the software in case you encounter any issues with the newer version. 4. Try to have all your video resolutions and frame rates (Camera, Recording, Streaming and Master) set to the identical setting if possible. Ideally, everything should be set to whatever the lowest resolution of input you are using. For example if your cameras are set to 1920 x 1080p and you are using video clips that are only 1280 x 720p then you would want 1280 x 720 as your working resolution, it is easier for the system to down-convert the camera’s resolution than it is to up-convert the video clip’s resolution to match the cameras, as it has to interpolate (manufacture) pixels on the fly to get the video clips to that resolution . If you follow this guideline you will avoid throughput problems. If you are streaming video as well typically that resolution would be set to 1280 x 720 or lower depending on the bandwidth available. NEVER use your Stream Breeze system to browse the internet, check emails, or download graphics or video clips from unknown or suspect websites. Since the system cannot have any anti-Virus or anti-Malware installed it is very susceptible to infection, do yourself a favor and use another computer to do those tasks and copy the files or information on a flash drive and transfer them that way or through a network connection. If you have made the mistake of browsing on the internet with the Stream Breeze system and believe you may have accidentally corrupted the system with a virus or malware, first try to do a system restore to a time before the virus or malware was acquired. If the system restore function is disabled then you likely have a virus or malware on your system. If possible install an anti-virus or anti-malware program on the system temporarily and scan the system. When you are done scanning and the system has been cleaned of the virus or malware simply uninstall the antivirus/malware software and your system should perform normally. It is possible with some anti-virus/malware software to scan a computer across a network; if you have a local network you can try that if you are unable to install an anti-virus/malware program to clean the system. There are also some on-line antivirus/malware programs that will scan your system to determine if it is infected. Do not leave any anti-virus/malware software installed on the system as it will inhibit the performance of the system. If all else fails in ridding your system from viruses or malware, the best choice at this point is to backup any files from your desktop or documents or download folders or anything that resides on your system hard drive that you want to keep, to an external hard drive and restore the system from your last backup, or the system image created when the system was delivered. This will wipe the drive and clear it of any virus or malware that may have infected your system. We hope that these tips and guidelines help you have a long and prosperous relationship with your Stream Breeze system. As always, if you have any questions or concerns, do not hesitate to contact us.